Tempered stainless steel etched marking center finding scale. 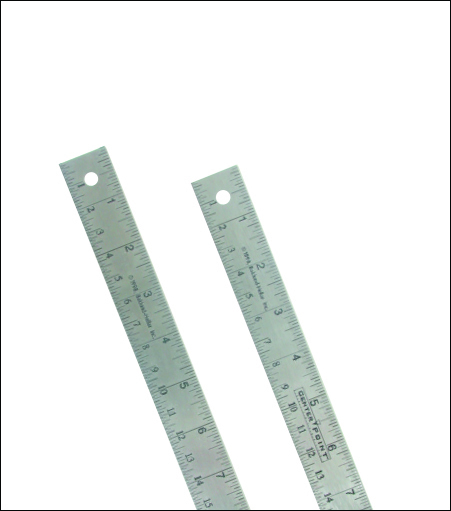 CenterPoint© products feature a patented center-finding scale. The easy, accurate way to find center FAST!